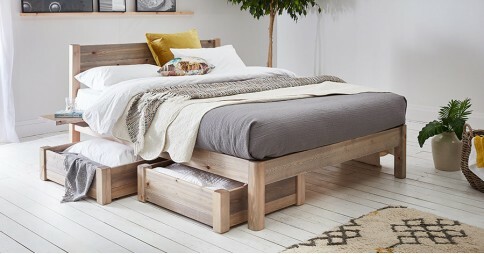 Create a stunning feature in your bedroom with the unique appearance and minimal design of a platform bed frame. 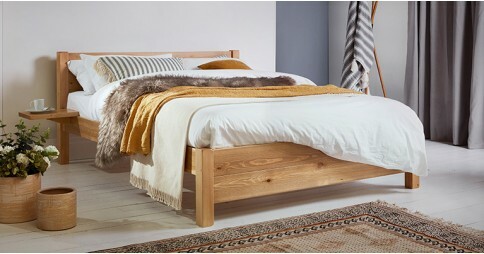 Platform beds are one of the new additions to our range of wood beds. 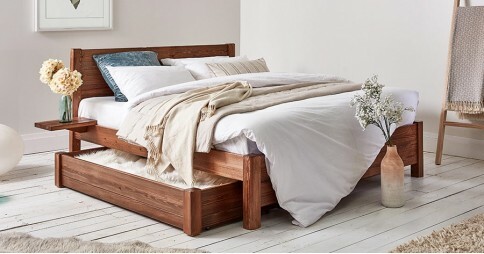 These handmade wood beds are designed to help save space and get the most out of your bedroom design. 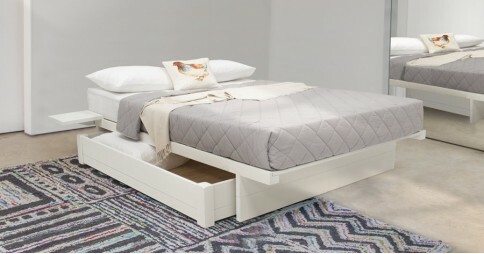 A Platform bed is well suited to any different bedroom decor and is a modern solution to saving floor space. Each design has it’s own unique features, with them all being designed with their space functionality design in mind. 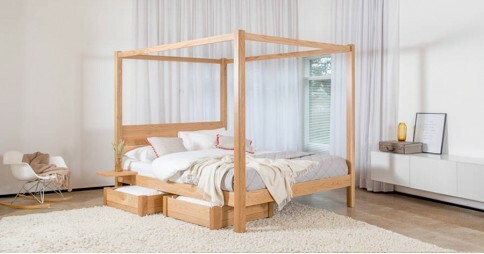 We’re proud of our long heritage in carpentry and specialize in hand making all our wood platform bed frames. Each order is lovingly hand produced in our Leicester workshop. 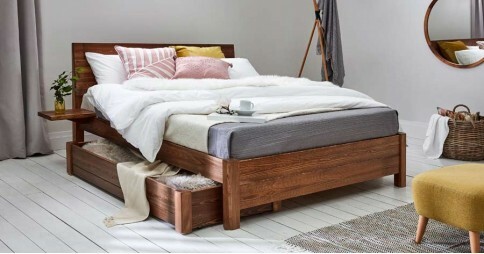 Thanks to all of our beds being handmade, we can offer a selection of custom options. With a range of different color finishes to choose from, it’s easy to personalize your order into something that you’ll love. 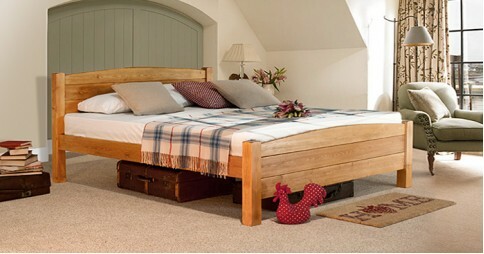 We also provide the chance for you to change the sizes or make bespoke changes on your platform bed where you require. 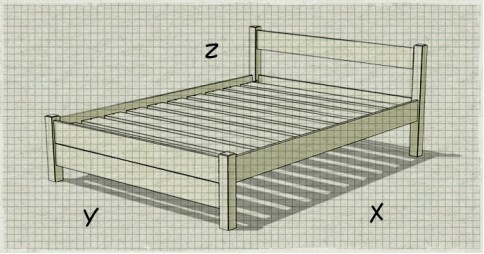 This means your wood platform bed can be made very personal to you. 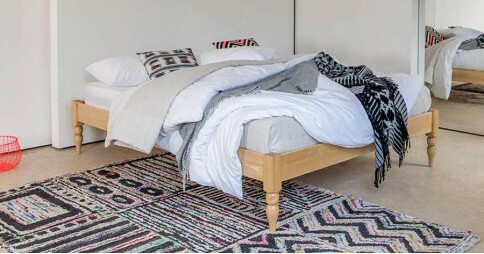 We understand every bed should be personalizable, even down to the final touches. This is why we offer additional extras such as curved corner options and felt floor protectors. Our variety of color options such as a natural sandy colour or a sleek black also mean you can make the style you choose suited to your requirements. 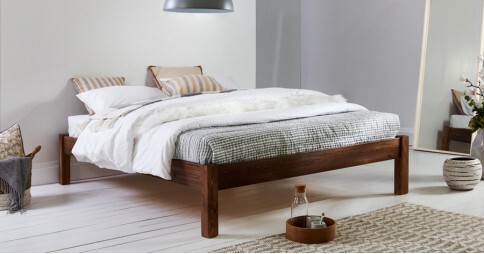 If you’re looking for that extra element we recommend choosing a platform bed in one of our hardwood finishes. 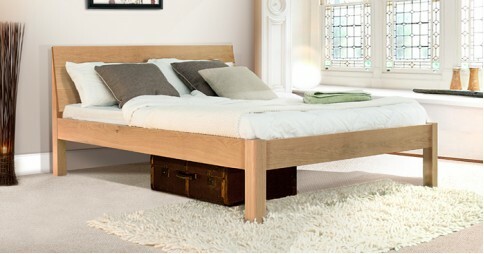 Our beautiful Oak and Walnut have proven very popular and provide a natural looking finish. 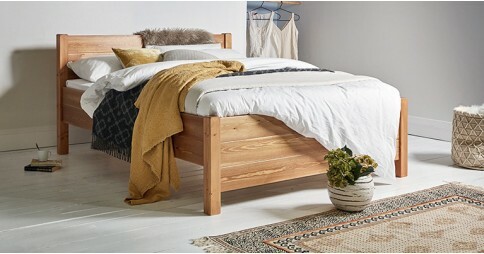 Whether you choose scandinavian pine or hardwood, we can guarantee that your bed frame will be quality which is built to last, with each of our platform beds coming with an 11 year structural guarantee. 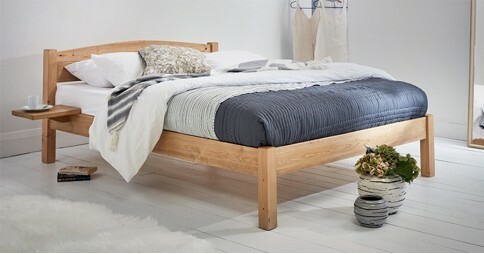 We aim to be friendly to the environment which provides us with the stunning resources for our wood bed frames. 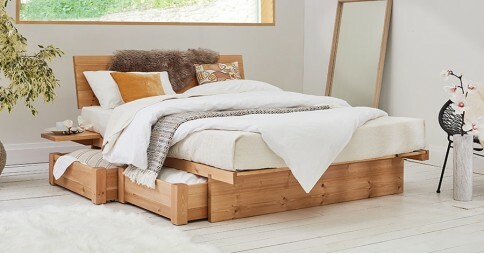 To respect this we aim to use FSC and PEFC timber in all possible circumstances. 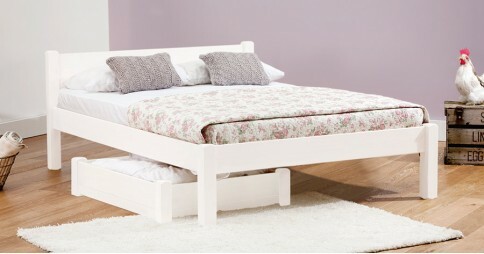 Please don’t hesitate to contact us if you’d like to know more about our platform beds. You can speak to our expert customer service team who will be happy to offer any advice you require. 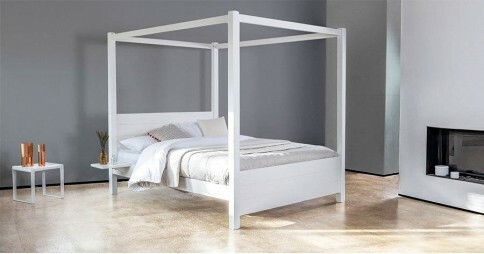 You can contact us on hello@getlaidbeds.com or call us on 646 8512943.